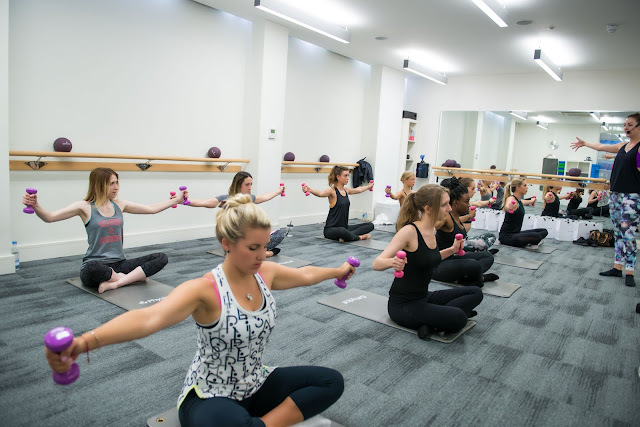 A few weeks ago I was invited for a barrecore class with eight other bloggers by the lovely Farfetch team. 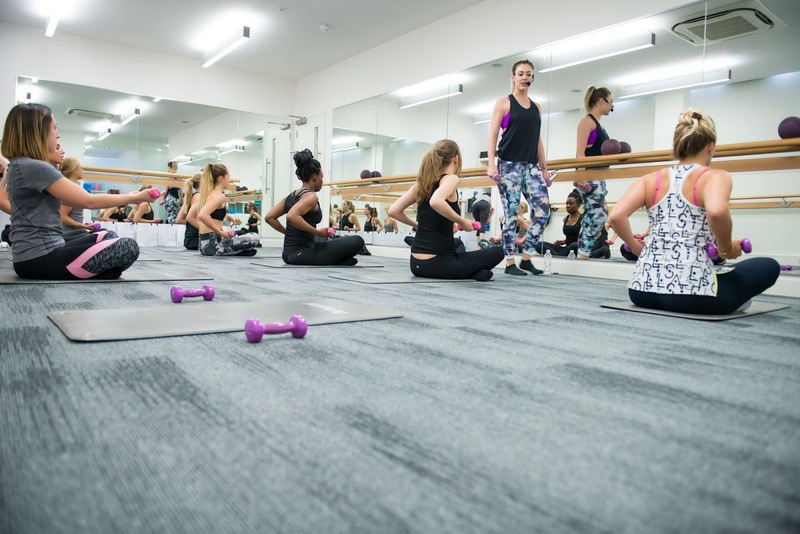 They were spreading awareness of their new activewear line, but also wanted a chance to get to know us all, which was really refreshing and not something I have experienced from a brand before. We met at Barrecore in Mayfair which was only a stones throw away from Oxford Circus station. Barrecore is a high-intensity workout that mixes low-impact fat-burning moves and static stretches whilst incorporating a bar. The benefits of such a workout include; firmer muscles, reduced body fat, toning and better muscle definition, a flatter abdomen and lifted glutes. 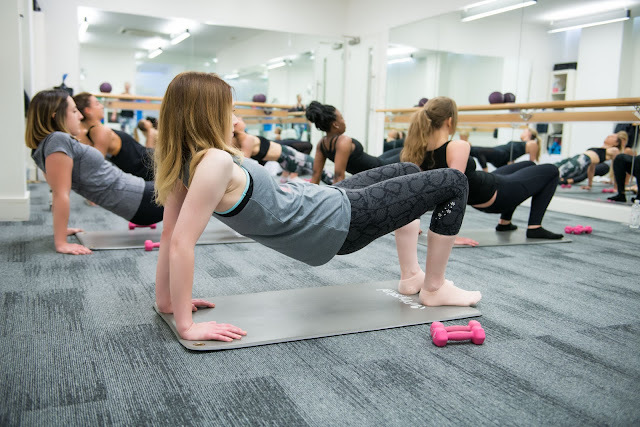 As with yoga and pilates, the benefits are not just physical, exercise like this is also proven to be great for mental health. 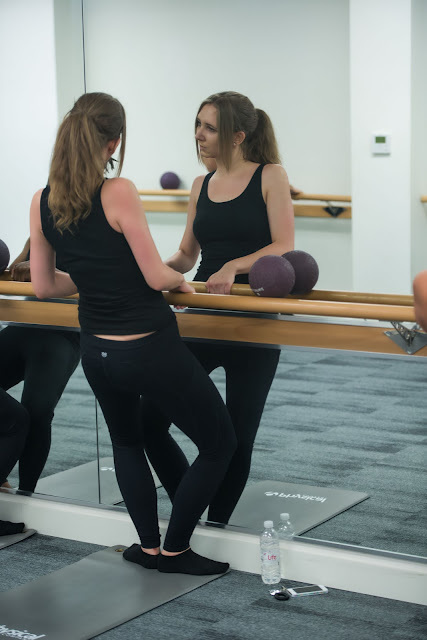 Having always wanted to try barre, I had a vague idea of what it involved, and knew that lots of models like the Victoria's Secret models incorporate barre into their workouts in order to tone and strengthen their bodies. I naively assumed that it would be a fairly easy workout, but boy was I wrong! 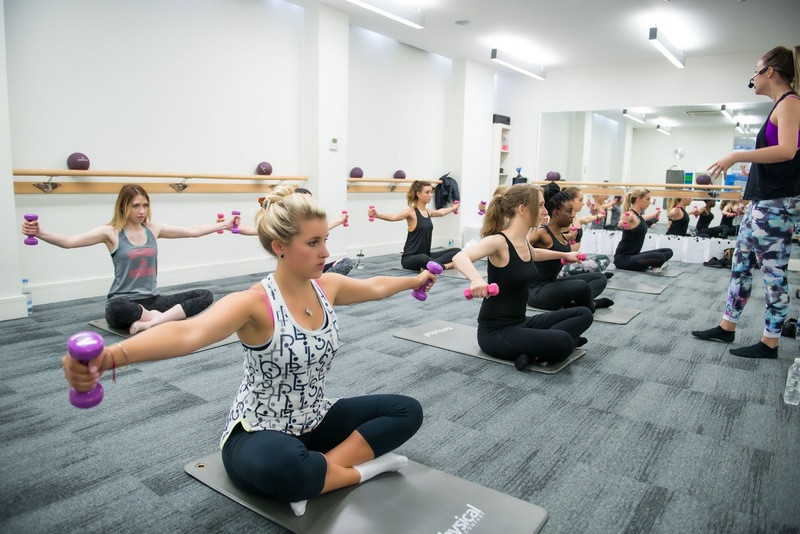 We worked on our legs, abs, and arms, and I used muscles I never knew resided in me. The ache was real. Particularly after the squats and legwork. Climbing the stairs to leave the studio (located on basement level), my legs felt punished. Tired and ravenous, we all went for food together at NAC London - the cutest little French inspired bistro located just off of Oxford Street. 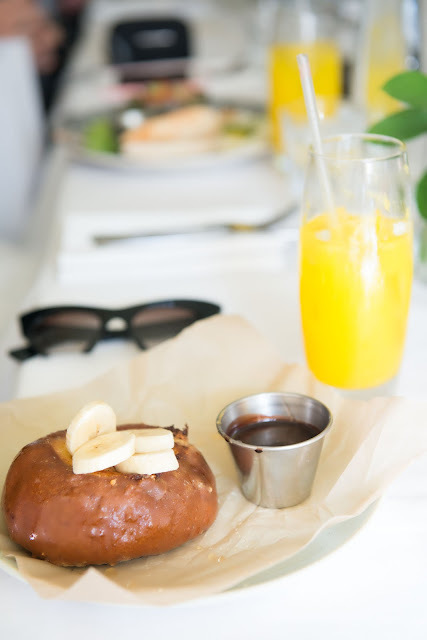 The majority of us went for avocado toast and it was as pretty a picture as it was generous a portion size. Tina had the honey chocolate French toast and bananas which looked all kinds of epic! After such an intense workout, I wanted something healthy and invigorating to drink, so opted for their pineapple, wheat grass and coconut water juice which was really refreshing. With that and the avocado toast, I couldn't have had a greener meal! In-between vlogging, Instagramming and taking pictures of our picture perfect food and table, it was really nice to get to know everyone a little more. It can be a little awkward entering room full of people you haven't met before, but I can honestly say, I couldn't have been grouped with a nicer group of people. There were no cliques, nor was there anyone with superiority complexes refusing to talk to certain people. Despite us all having blogs / vlogs of various ages / sizes, everyone was treated as equals. Never have I felt so relaxed or made to feel so welcome at an event before. 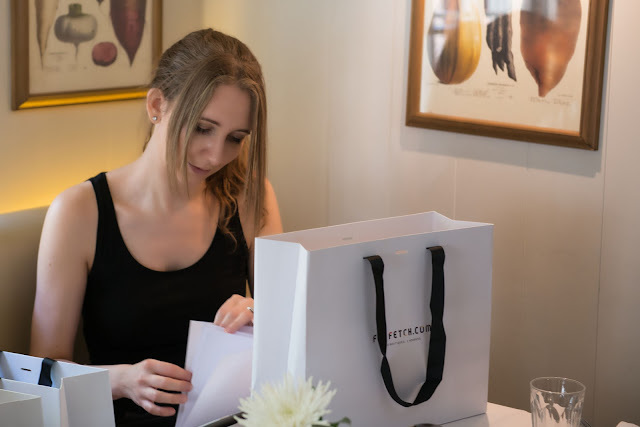 I would just like to take the time to say thank you to the lovely Farfetch team for organising one of the nicest blogger events I have ever been to in my six years of blogging. It felt really natural and you felt like they wanted to get to know you as a person, rather than being purely business like so many other events I have been to before. 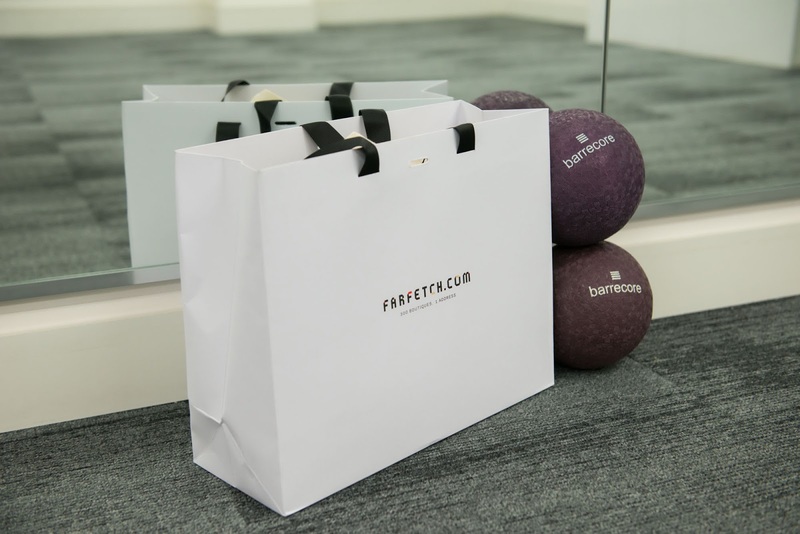 I also received a very generous goodie bag from the team and seeing as Farfetch is a global agglomeration of over 400 fashion boutiques with over 1000 labels online in one place, I felt well and truly spoilt in the best of ways!